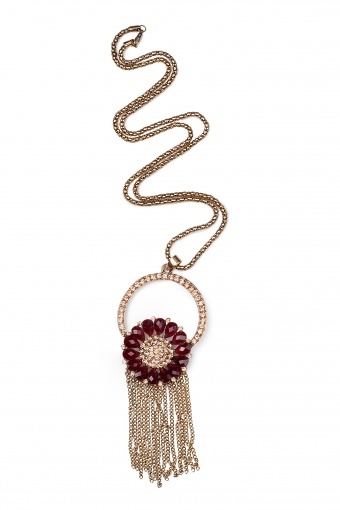 Boho Shiny Sunflower & Tassels necklace. 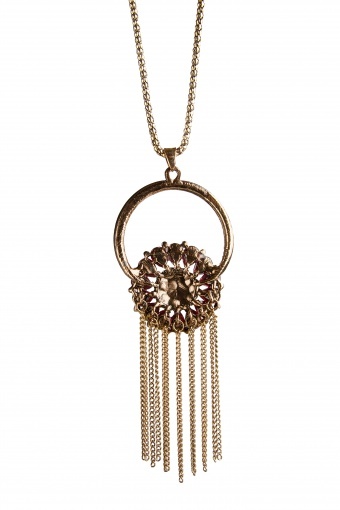 Really special long necklace with a stylized sunflower pendant. 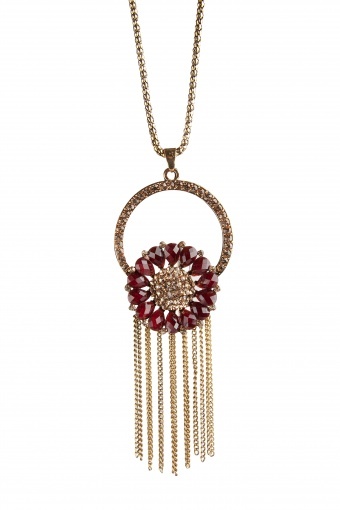 The pendant is richly decorated with champain toned rhinestones and burgundyred toned faceted acrylic stones. With fine tassels atached at the bottom for a very special effect.